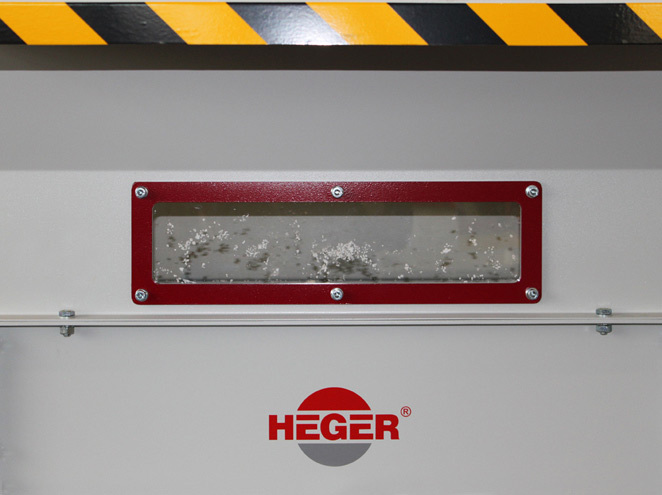 The Heger THE TIGER line uses innovative technology to compress bulky foam waste EPS (Styropor®) extremely efficiently into easy to manage, stackable blocks – with no re-expansion. 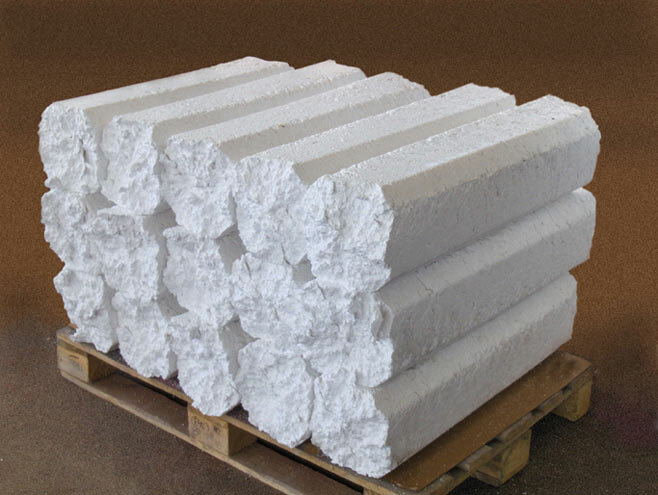 The extreme reduction in volume thus achieved (in the ratio of 40:1) does not only produce a considerable saving in transport and disposal costs, but the blocks produced can be also recycled as raw material, therefore contributing to a rapid amortisation. 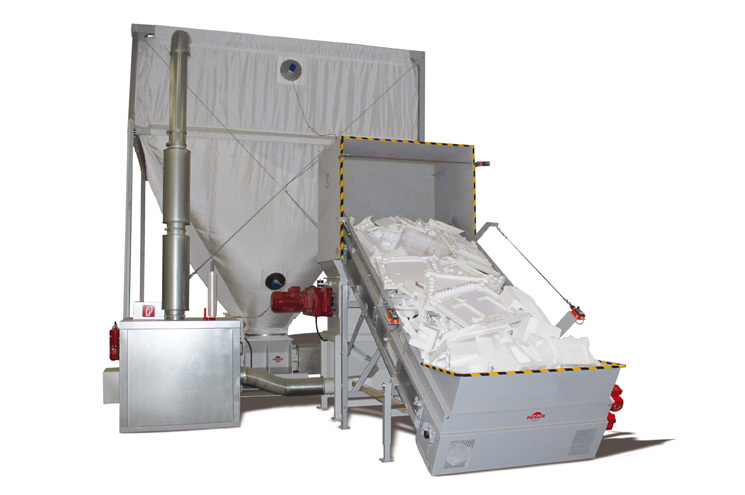 Also clean processing of damp EPS waste material without rust stains via robust stainless steel pressure channel. 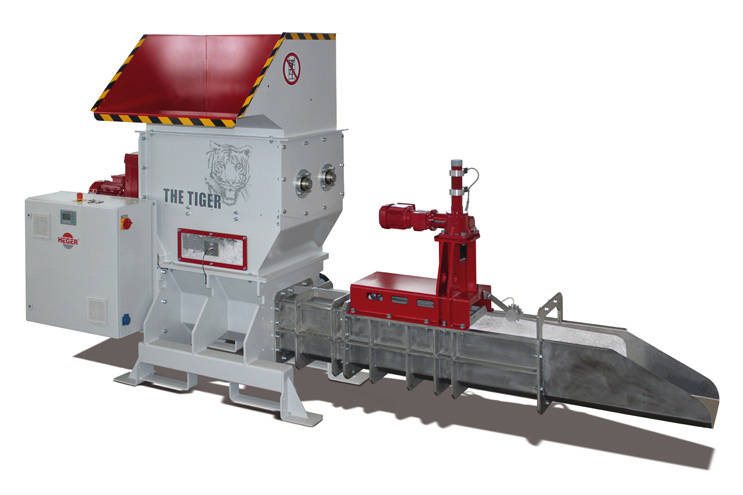 THE TIGER - Efficiency via technical perfection. THE TIGER compression line can be operated for many hours without personnel and considerably increases efficiency when used with large amounts. 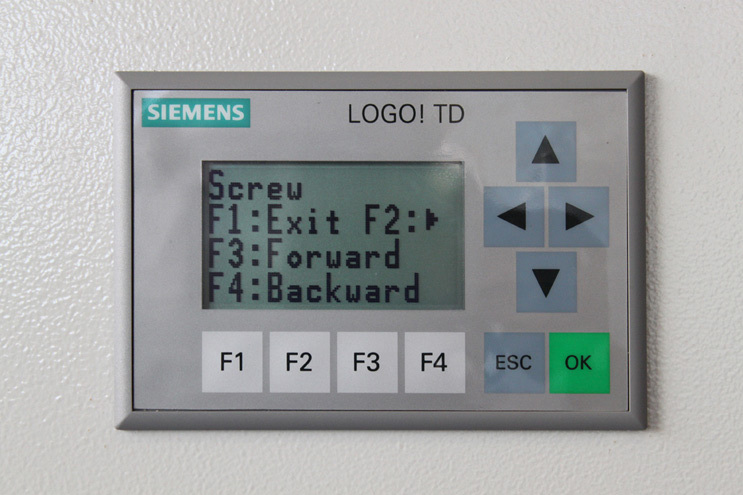 Operating display panel with function keys. Seven application programs can be adapted, as required, to a wide range of materials. 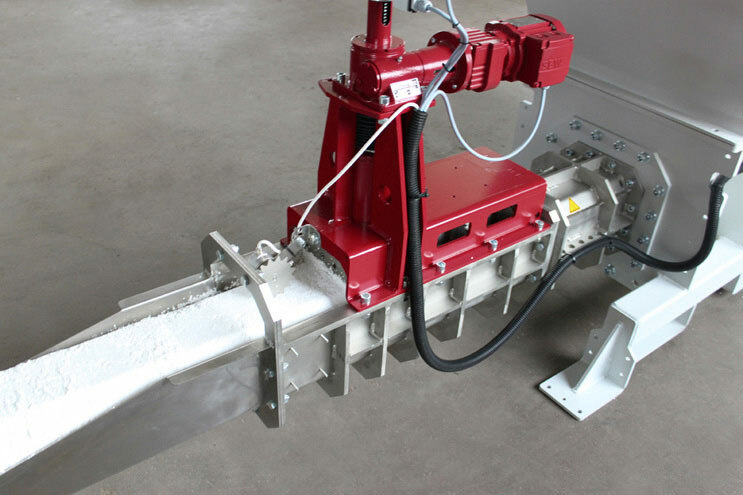 An efficient primary crusher with two cutting blade shafts crushes the parts into 20-50 mm sized small pieces. The sensor-monitored filling level with control window ensures a fully automatic operation with no overfilling or idling. Robust engineering drive. 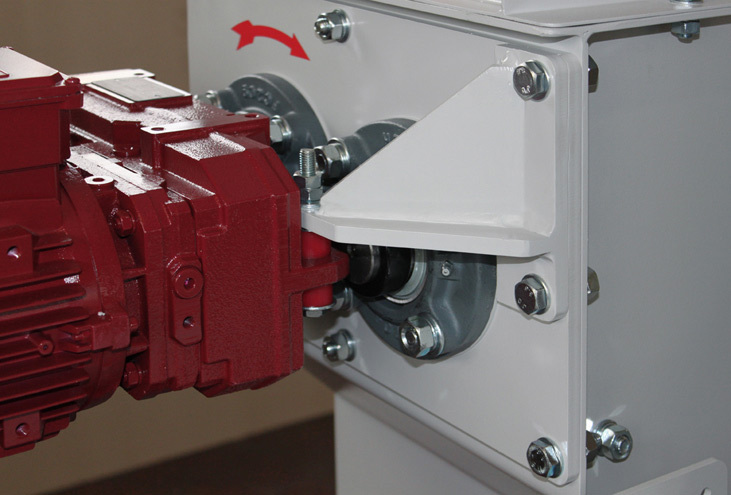 Two strong gear motors drive the primary crusher's cutter shafts. 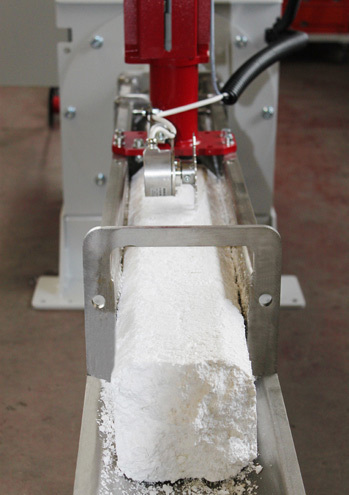 The fully automatic pressure regulator (ADC) with lifting spindle technology (no hydraulics or pneumatics) enables the production of highly compressed blocks. Clean processing of damp EPS fish boxes without rust stains via robust stainless steel pressure channel. 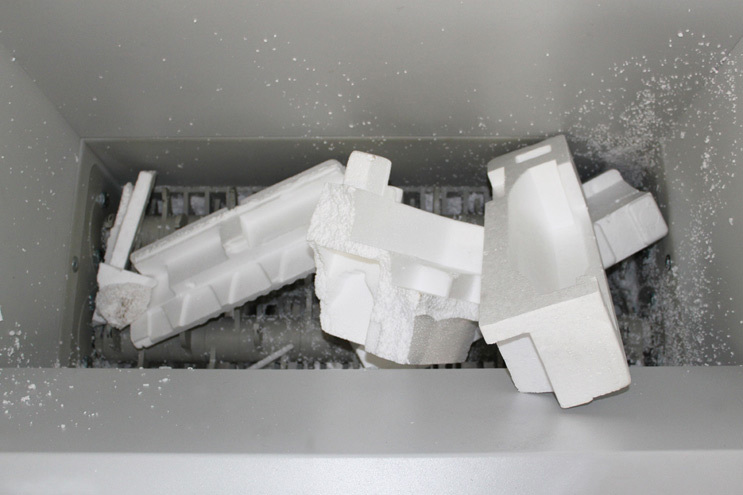 The dimensionally stable block ejected at an even speed at the machine outfeed is easy to separate, palletise and use for recycling.